Is Mead Gluten Free (and other Drinks)? How much Spice to put in Mead? At some point during your brewing career, you are bound to encounter a stuck fermentation. On occasion, your yeast can encounter some difficulty in the middle of the fermentation, and stalls out well below its normal alcohol tolerance despite there being sugar remaining. This can occur due to a number of different reasons. 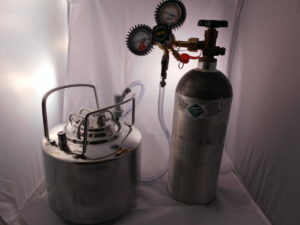 Sometimes your starting gravity was too high for the yeast to reproduce to a healthy colony size, other times the temperature of your must is too high for the yeast to function at their peak efficiency, or even before you pitched, the yeast could have suffered through some extreme environments during shipping. Whatever the reason, your creation may require some additional nudging on your part to get going again. To ensure you don’t just have a sluggish ferment, make sure to take a few gravity readings over the next few days. If it is still dropping, you don’t have a stuck fermentation. First thing to check would be temperature of your environment. Most yeast prefer somewhere between 40 to 65 or 70 degrees. There are some strains that will work above that, but for the most part, they prefer it a bit cooler except for their initial re-hydration. Make sure to check the packaging for their specific details. But if the must’s temperature is outside this level (remember, the fermentation process can actually produce its own heat, so it could be warmer than the outside air), then make sure to rectify this. Did you add nutrients like DAP to your must? If not, your yeast might be malnourished and struggling to get what they require to reproduce and metabolize the sugars. Honey is pretty barren of these much needed substances, so this is especially important if you have no fruit additives. It’s also possible there wasn’t enough oxygen mixed into your initial must. So a quick whip up might help things along. Only do this is there’s still about ⅓ of the sugar left, otherwise you’re just introducing a bunch of oxygen that won’t be pushed back out as CO2. And that can have undesirable effects on your mead as it ages. Repitching is another option. You can get another packet of yeast. Go through the rehydration process like normal. I’ve seen it suggested that then adding a portion of your must to the pot after they have had some time to wake up will assist in acclimating them. You want to prevent shocking your reinforcements, as well. Otherwise this whole process will have been for naught. After you’re seeing bubbles you should be good to introduce them to your full bucket. The theory here is that you’re boosting the yeast population to a healthier level to give them a leg up on the fermentation process. If none of the above methods work, then it’s time to break out the nuclear option. If your normal yeast just isn’t cutting it, there are some heavy hitters that are sure to be able to handle whatever you can throw at them. These are usually a champagne yeast. These bad boys generally have an alcohol tolerance of 18% and with the proper nutrition can sometimes handle into the low 20’s. To use them, you essentially pitch just like you did previously. Re-hydrate, use some Go-Ferm to ensure they have the stuff they need to wake up and start reproducing. Give them a little bit of time to build up some of their numbers, and add in a portion of your must to acclimate them. Once added to your must, they should begin going to town. They will probably run your mead dry. If even they are unable to get a foothold, then it sounds like you had way too high of a starting gravity. If this is the case, splitting your batch in two, and adding water to lower the gravity so the yeast have a chance to start is a good bet. Step feeding is the way around this issue if you are aiming for a high abv. 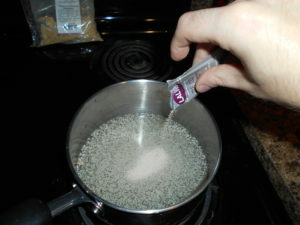 You’d need to let the yeast get through a good portion of the sugar available before adding more. The reason honey is so anti-microbial is that not much can grow in the high density, nearly pure sugar environment. If your must doesn’t have the water content to allow the yeast cells to perform osmosis without drying themselves out, then they will be unable to do what you need them to. How to Remove a Cork Stuck Inside a Wine Bottle?